January is every paper-junkie’s dream because it’s the perfect excuse to reorganize and start fresh in the workplace. While I’m not completely redoing my office, I have added a few new things (a calendar, a tassel garland, a planner, and a few notepads). 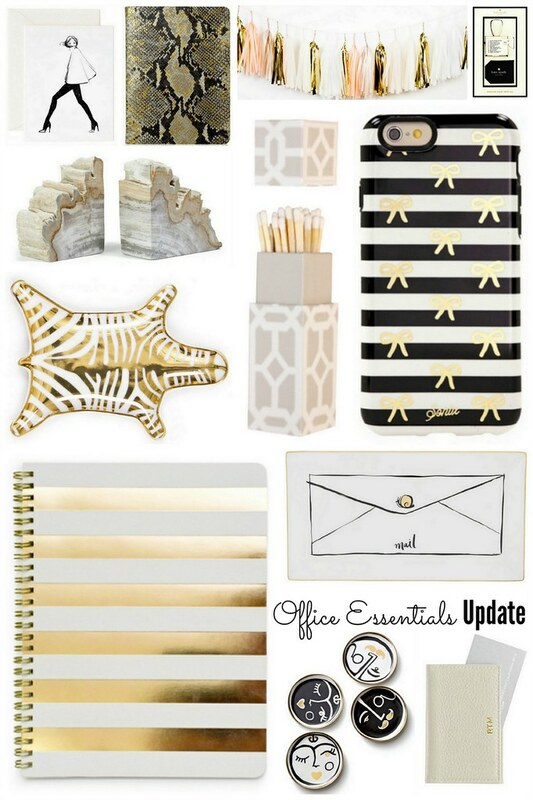 As you can probably tell, I’m still on a gold/white/black kick and had so much fun imagining these items making their way into my office. Did you make any New Year’s plans for your office—maybe a resolution to keep it clean, to add more color, etc. ?